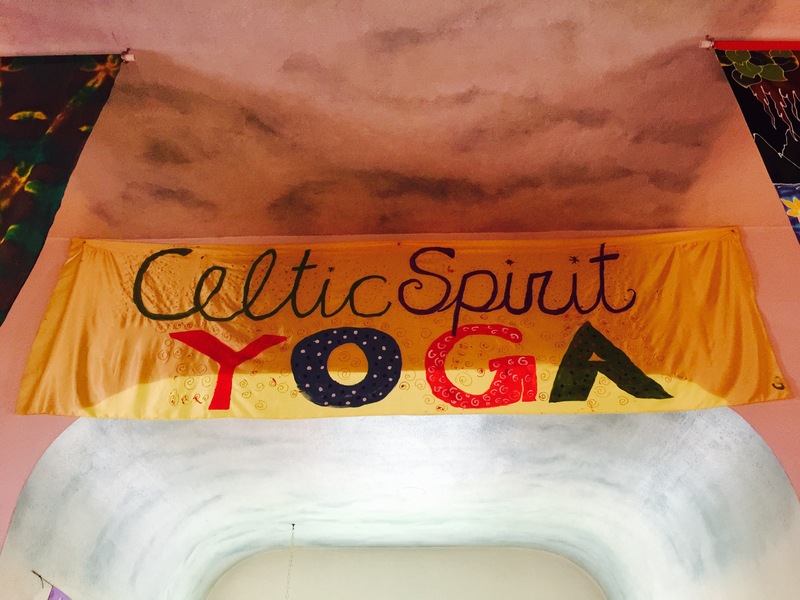 Welcome to Celtic Spirit Yoga in the heart of downtown Sandy. As the famous Oregon Trail wove it’s way through the Sandy area towards the end of the trail in Oregon City so I found my way from a small town in the West of Ireland to this lovely corner of the world that I now call home. My journey has unfolded in a way that I could never have imagined and yet I believe this is just the way it was meant to be. Finding a wonderful historical church like this, where generations have asked for blessings and offered gratitude, seems like a dream come true. 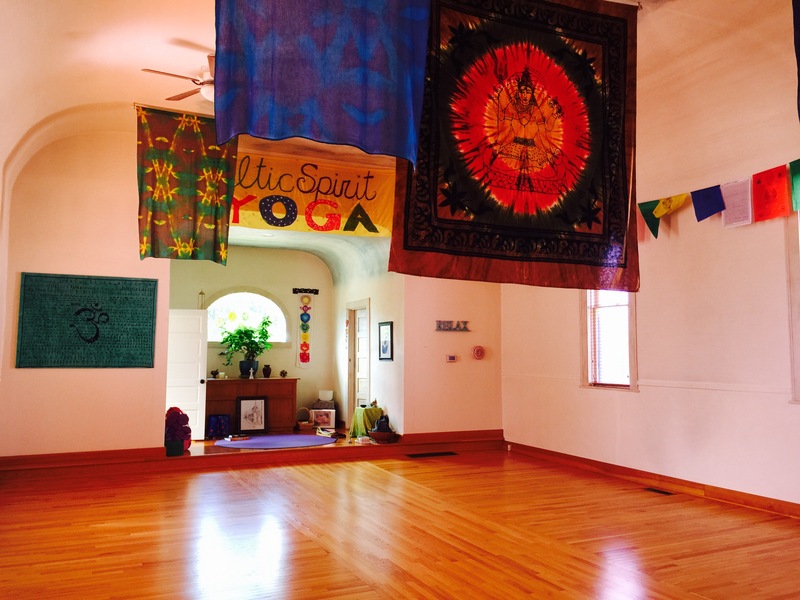 What a perfect place to share the joy of yoga! 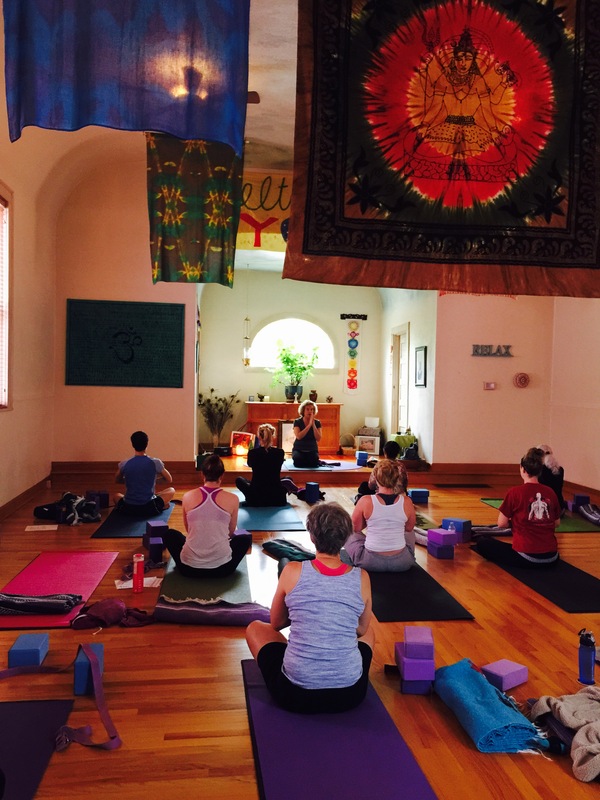 April is so excited to lead you through a vinyasa based flow yoga class, encouraging you to make a connection with the ever-present balance and harmony in your body. Her classes focus on breath work, a moving meditation with vinyasa flows to open the heart, strengthen the body, and focus the mind. All levels are always welcomed and encouraged. 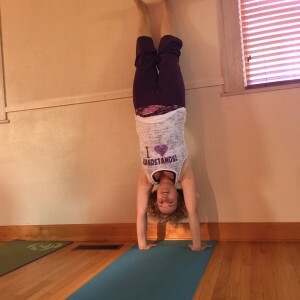 April has been practicing yoga since 1998 and leading group and private yoga instruction since 2006. 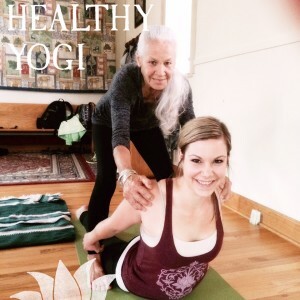 She completed her 200 level certified Yoga Alliance training in Portland, Oregon. Yin Yoga utilizes floor poses, done slowly and safely for any practitioner, to stretch and stimulate the deep connective tissue and find the natural range of motion in joints. Learn a nurturing practice with benefits of flexibility, relaxation, renewal and peace. This series is ongoing. You can join anytime. 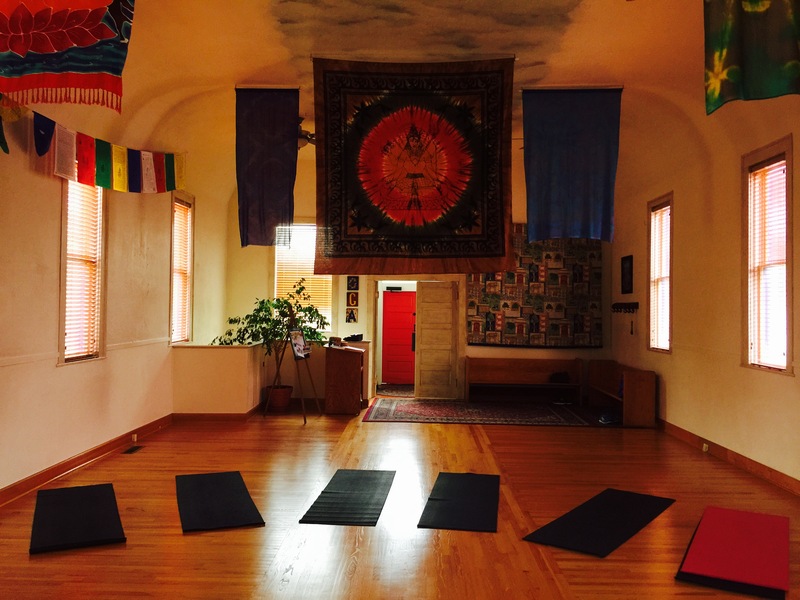 Wy’East Zen Center is a meditation and discussion group that meets weekly for a period of silent meditation followed by discussion on a variety of topics related to mindfulness practice. 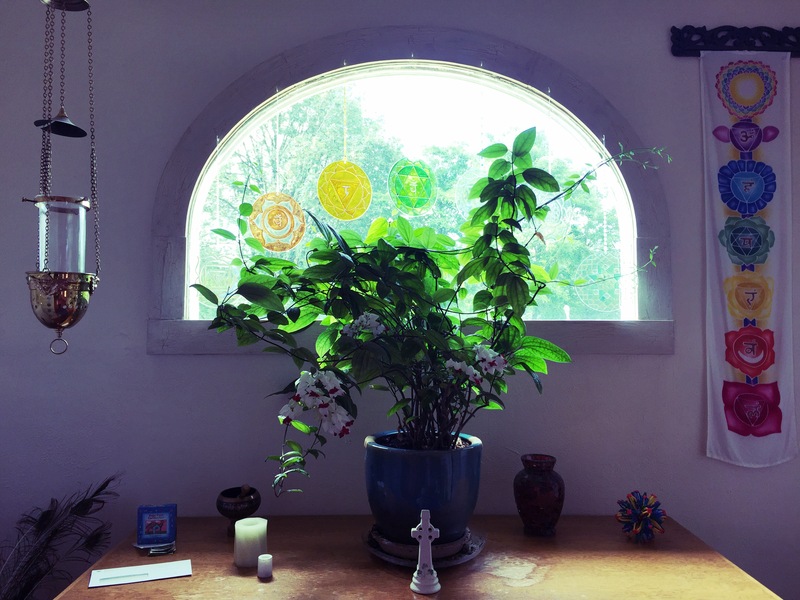 We are grounded in the Soto Zen tradition but our practice is open to people of all faith traditions, and beliefs. No previous meditation experience necessary. Doors open at 6. 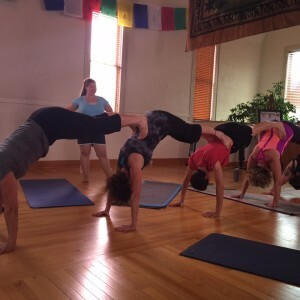 Get your day off to a great start in these fun classes. Yoga aids circulation, digestion, respiration, tones organs, improves balance, strength and flexibility. So why not give it a try? Don’t worry about being too inflexible! It’s not about twisting yourself into pretzel poses. 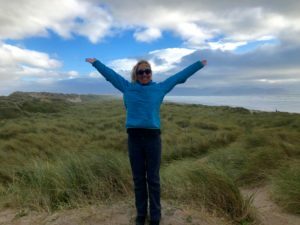 It’s about learning what’s right for your body, finding your edge, growing in awareness and bringing balance to your body, mind and everyday living. Join Ginger for this flow style of yoga. Learn to transition from one posture to the other with ease and grace and build up your strength and stamina from week to week. The class is open to all levels and students will work on a variety of postures, linking breath and awareness to movement. This class will help you to shed the stress of the day and leave you feeling relaxed and renewed. A great way to end your day and prepare for the weekend. This class is ongoing. Join or drop-in anytime. Weekend warriors and outdoor enthusiasts? The Saturday morning class is a great way to prepare for the great outdoors and Winter/Spring fun or just get a great start to your weekend. Get those legs, abs and arms in shape so you can prevent injuries when you challenge your body in pursuit of outdoor activities. You can join or drop-in anytime. Come prepared to sweat! Power vinyasa is a faster-paced yoga practice that links breath and movement, raises the heart rate and dynamically builds strength and flexibility. Yoga pairs well with Crossfit, running, weight lifting and other forms of exercise. Come set the tone for the week in this all-levels class as we sweat away tension, build focus and explore what our bodies can do. No reservation is required and drop-ins are welcome! Please call Samantha with any questions. Interested in chanting, mantras or mudras? 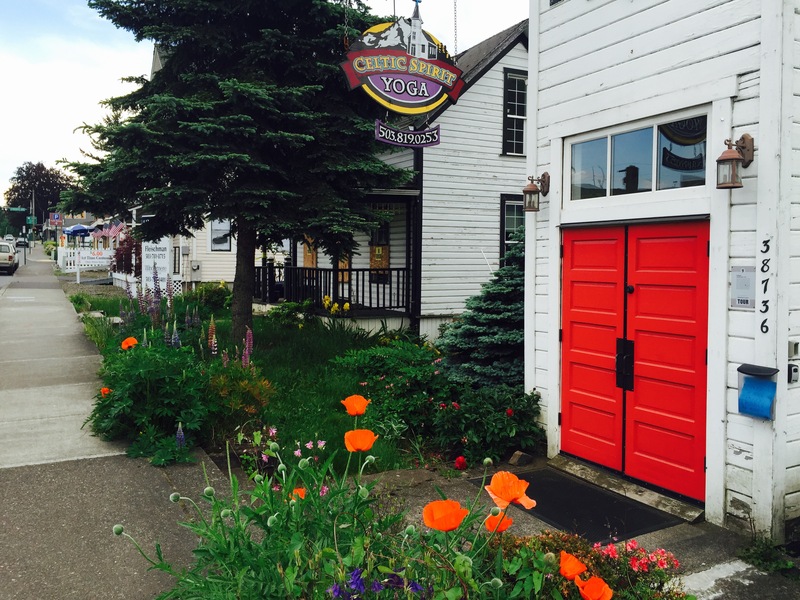 Join Therese on the 1st and 3rd Saturdays of the month (see class calendar for more details) at 7:45 am before the 8:45 am yoga class in Sandy. You are welcome to come for the chanting only if you do not wish to stay for the yoga class. Please call Therese with any questions 503-819-0253.